I know what LCP down is all about, a BT engineer told me when I was on connect! Normally it is nothing to do with the users line or their router but a problem with the ISP server side! If my line stats look good in the morning yet the logs show multiple LCP down's then the problem must be sky's side! Last edited by acoolwelshbloke; 15-07-07 at 08:28 PM. I had this problem as well as others for the first 3-4 months on connect and it happened everyday... day and night??? After months of support, bt engineers because my BB died completely several times and capping etc... etc.. it finally went away! Now I have gone from connect to mid, I was re-capt because in the evening my snr would drop to stupid levels like 2db or 4db etc.. well the cap has solved that but the last 3 days I have had loads of LCP downs most of which happen in the night??? Why is it LCP down's seem to be a reg thing with sky BB? see here and google for that! It may be down to errors spiking in the night on my line, i normally have more errors than what is shown above so maybe sky have done something or it's just pure luck, I will wait till tomorrow now to find out for sure but sky should look into this LCP down issue! Even the BT engineer who attended my house said he only knew what it was because he seen it on a regular bases with sky connect! And with that I have LCP down again, infact my broadband has only just come up!!!! oh and get this, this is not a teir 3 problem, it's a provisioning departments problem! Why won't sky just cap my line at 4MB???? 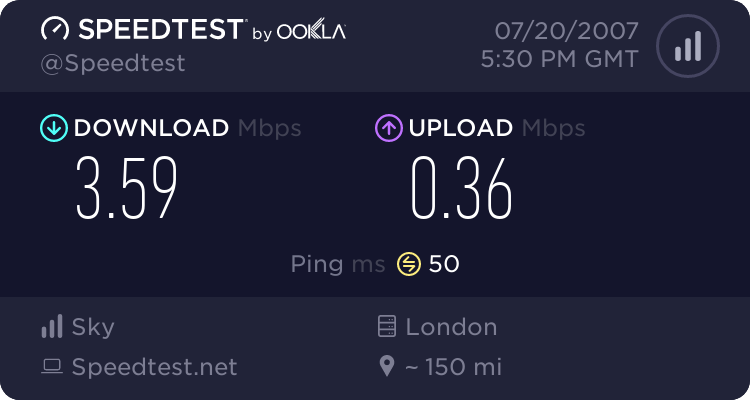 When will they realise my line can only handle a recommended 4.5MB max connection!!!!!! That's not 6, not 5 just cap me at 4MB like I asked you too! They capped me at 4MB like I asked and guess what? Yep no downtime, errors or LCP down issues so far! Infact my line has been up all night... First time since I was put on MID! Will not know for sure until today and tonight have passed but my fingers are crossed!!!!!! LOL yea I noticed that when he done it but I don't care about a poxy 96kbps after all I am not greedy!!! on a random, unrelated note - took my own advice and tried my test socket - sync speed doubled!!! 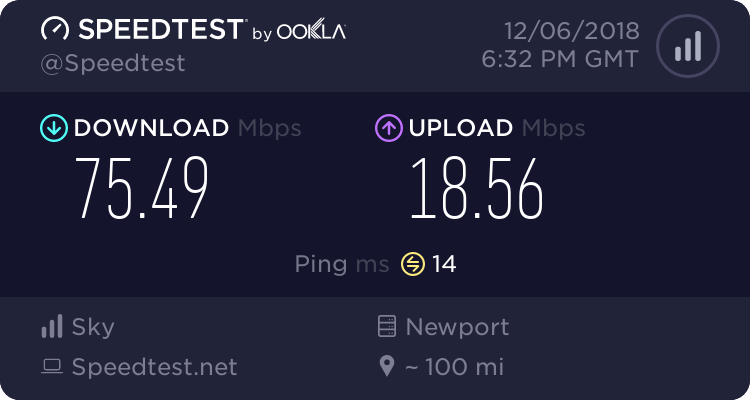 download speed is no different, still about 2MB (also had the ring wire connected so removed that) and now getting 4MB sync in master!! wonders will never cease!! ordered me an XTE-2005 faceplate just to be on the safe side but there you go!! As you can see there are a few errors but all in all still looking good! No downtime or dropouts so far but from here on is is where the trouble normally starts! I've got everything crossed, if it stays up tonight then things are finally looking good!